The first time we saw the 2014 CFMOTO SNYPER 800 EX in action was at the “12 Heures de La Tuque” endurance race. For those of you which are unfamiliar with this event, the 12 Heures de La Tuque” is the largest off-road racing event is Canada. CFMOTO Canada entered not one but two SNYPER’s into the two hour endurance race, bold move, as they knew this was a highly publicized event and that their machine’s needed to perform. Not only did both machines finish the race, but finished in fourth and fifth place overall. This certainly incited our interest and we needed to take a closer look at this new model. We chose a trail system in “La Mauricie” area located in Quebec as our test site. This area offers a very diverse terrain set, tight wooden areas, wide-open straights, harsh rocky patches and of course that perfect mixture of wet, soft earth we all love, mud! What we deemed was the ultimate cocktail for most trail riders. When we finally got the SNYPER 800 EX unloaded from the trailer and gave it a good walk around, we found that this was a good-looking machine! The red/white painted color theme, front/rear stainless bumpers, 14-inch aluminum wheels and aggressive new front end, all added to the esthetic appeal of this vehicle. The SNYPER 800 EX also comes standard with front/read LED lighting, a 3000 lb. winch and ELKA shocks. Inside the cockpit you find a full digital instrument cluster, illuminated switches and for that added level of safety on the trails, even a horn, turn signals and emergency hazard lights. The overall ergonomics is well conceived with confortable seating, adjustable steering, easy select shifter and a closed glove box for inside the cab storage. Once strapped in, you find yourself in a good seating posting with ample room to access the easy to reach controls. Under the hood the SNYPER 800 EX has a water resistant storage area, perfect for tools, riding gear or even your lunch. The rear cargo box has a 100 kg (220.5 lb.) capacity, ideal to transport extra gear for those long rides. The Canadian edition of this model has some differences from its global equivalent, which is known as the Z-force. Differences being ELKA shocks, CV-TECH transmission and larger 30 amp battery. 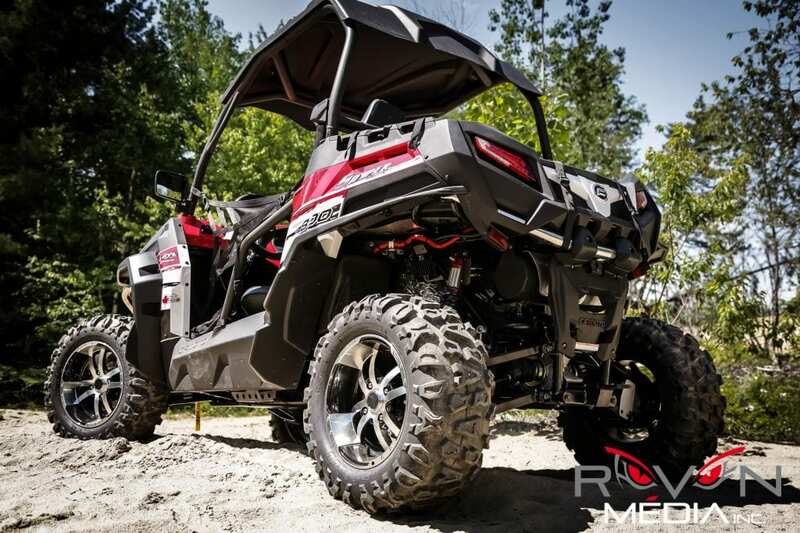 Ergonomically speaking, the SNYPER 800 EX may not have the interior trim and finishing level of a CAN-AM COMMANDER, but when compared to a YAMAHA RHINO or POLARIS RZR, it is a contender. The SNYPER 800 EX is powered by a 800cc V-twin, liquid-cooled, 8-valve, 4-stroke engine and CV-TECH CVT transmission producing 63 HP. The SNYPER 800 EX is powered by a 800cc V-twin, liquid-cooled, 8-valve, 4-stroke engine and CV-TECH CVT transmission producing 63 HP. Fuel is provided by a 46mm Delphi throttle body, two Delphi fuel injectors and Bosch fuel pump. The Delphi electronic fuel injection system keeps the engine’ s performance at its peak and delivers optimal acceleration. Mash the pedal and this V-twin comes to life, power is immediately transferred to the tires with almost zero lag and you rapidly recognize that this machine has enough power on tap for a fun invigorating ride. On the wide-open straights we tested on we found the power output impressive and never craved for more speed. The acceleration was also perfect for this size of machine and provided for exhilarating moments as we punched it across fast open trails. The SNYPER 800 EX has a dual A-arm setup and ELKA shocks on all 4 corners. 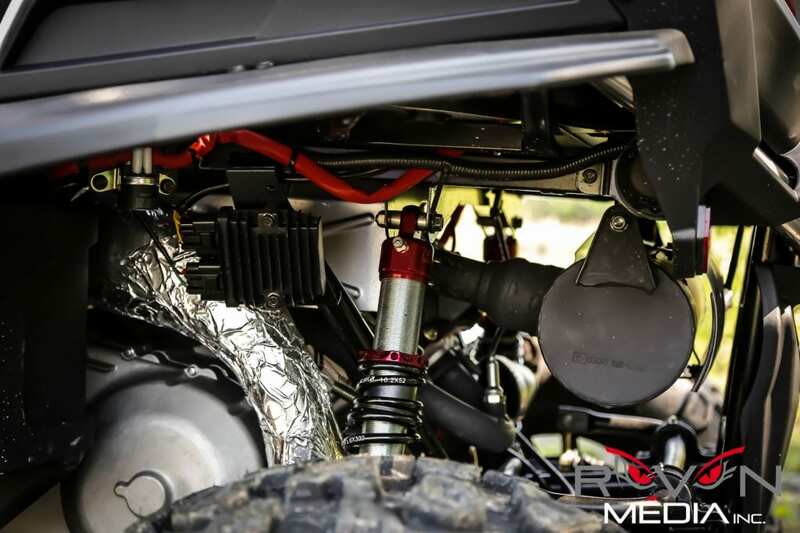 Suspension travel of 11.02 in/280 mm (rear travel) and 11.5 in/283 cm (front travel) and a respectable 11.08 in/300 mm of ground clearance. The SNYPER 800 EX has a dual A-arm setup and ELKA shocks on all 4 corners. As it turns out, the suspension and handling of the SNYPER 800 EX is great. 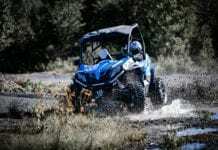 It corners with very minimal body roll and in this aspect, is much comparable to a POLARIS RZR 800 S. As for bump absorption, the ELKA shocks were on the job. Bumps, rocks and other harsh terrain were all tackled with ease. However for a more confortable ride, upgrading to a higher quality shock such as the ELKA STAGE 4 might be a viable option depending on the terrain you like to ride on. As we must all deal with trail width restrictions, the 59.5 in/1510 mm width of the SNYPER 800 EX permitted us to access tight trails and crossings. 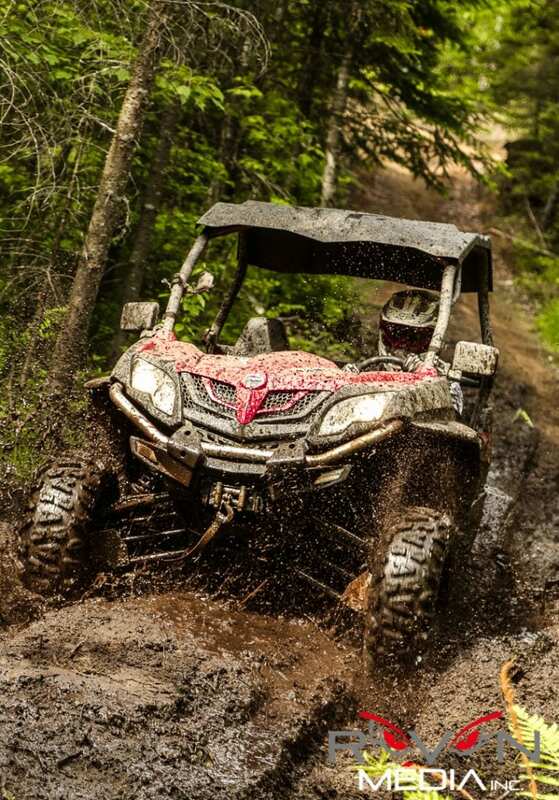 If you are like us and absolutely love to play in the mud, you will appreciate the 11.08 in/300 mm of ground clearance. We played in the deepest stuff we could find and the extra ground clearance helped in concurring these beloved muddy play pits. If we got stuck, no worries, the 3000 lb. winch, which comes standard with the SNYPER 800 EX, would have surely come to the rescue, plus isn’t getting stuck half of the fun? What seemed to be the biggest gripe of consumers on not only the SNYPER 800 EX but also the CFMOTO product line in general was the availability of parts! We had seen this over and over on different forums and social medias during our research on SNYPER 800 EX. We decided to contact CFMOTO Canada for some insight on this apparent problem. We felt this information was vital for you the potential consumer, more so than the top speed of the vehicle. We met the Vice-President of sales, which graciously gave us a tour of the CFMOTO Canada installations. Much to our surprise we entered a large section of the building, which was fully stocked with parts and accessories for their complete vehicle line-up. This is where we discovered that CFMOTO Canada has a fill rate of 95% once an order is received from a dealer. So a word to the wise, if the SNYPER 800 EX is a vehicle you are considering, choose you dealer wisely! As it became quickly apparent to us after our visit that the problem was not parts availability or readiness, but that the problems seems to lie with dealers not holding parts in inventory. 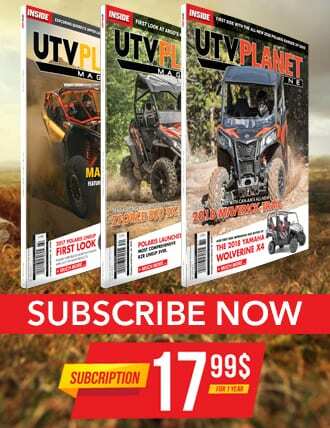 As you noticed I named this article “More that just a clone”, not because I am delusional and that I don’t see the physical similarities between the SNYPER 800 EX and the POLARIS RZR 800. I just personally feel that the days of considering the SNYPER as a copycat or cheap RZR knockoff are over as CFMOTO has gone to great lengths to constantly improve this vehicle. 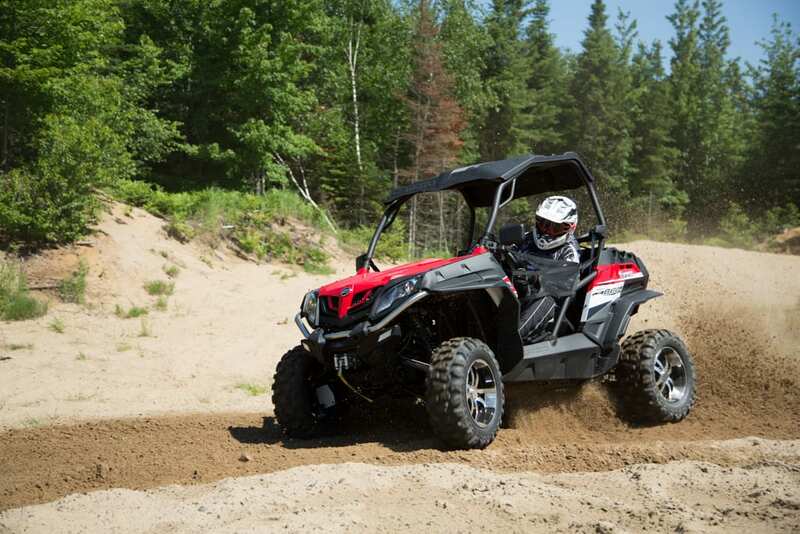 Physical similarities may still be present, but the SNYPER 800 EX also offers its own unique styling and a ride that the casual trail rider will appreciate. Obviously this is not a machine for the adrenaline junkie, but the SNYPER 800 EX delivers enough power and handling to provide for some invigorating moments on the trails.